During their “body off” restoration process, Hummer1 disassembles every component, part, and accessory. This means that everything either gets replaced, rebuilt or restored to new conditions. While this meticulous process takes a long time, they are dedicated and passionate about their work and want to ensure that the builds they produce are pristine in every way. To them, putting out one of these cars is almost like giving birth and are always proud to see the finished product roll out of their doors. Like a loving parent, they always take care of the cars even when they’re in their customer’s hands. Why? Because Hummer1 knows their vehicles like the back of their hands and want to take care of what they’ve created. Again, these are not your everyday restored Hummer H1 Alphas but are works of passion that have sweat, care and knowledge behind ever bolt and screw. 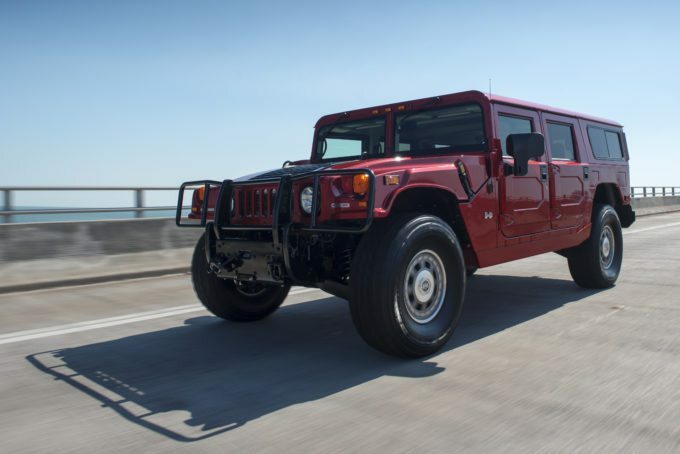 If you’re one of the many collectors that knows just how important a vehicle like the Hummer H1 Alpha is, Hummer1 is your best bet. To learn more about their company and work they put into their restorations, visit Hummer1.com or click the button below.